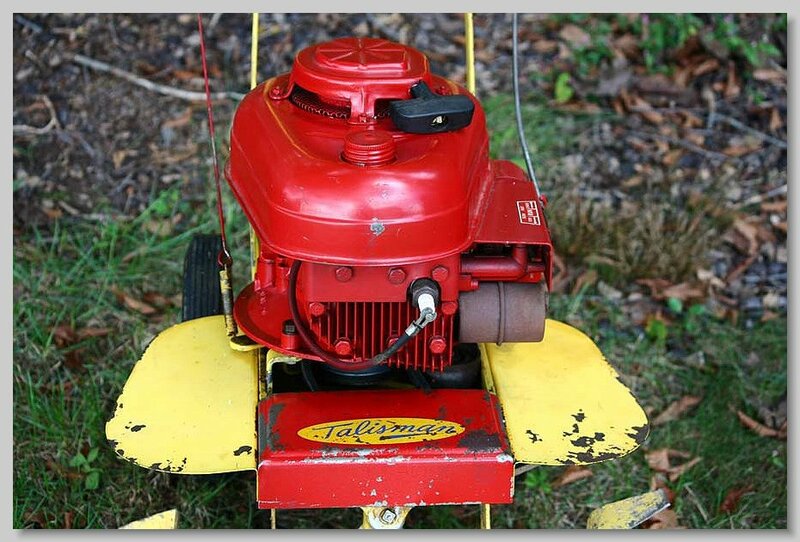 Tallisman tiller with a Lauson V25 2.5 hp engine. Rear view of the Tallisman tiller. 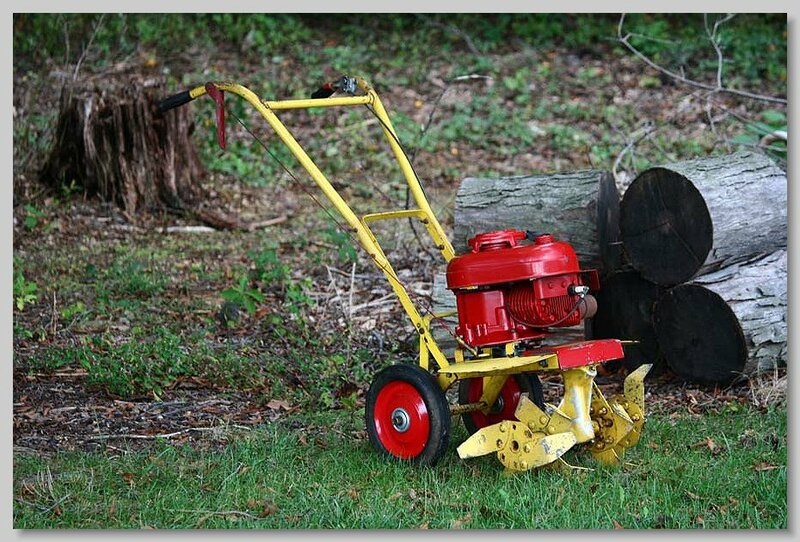 A Mow-Tiller by Rototiller, Inc. Troy, NY. It is powered by a Lauson SLV-51 2 hp engine. 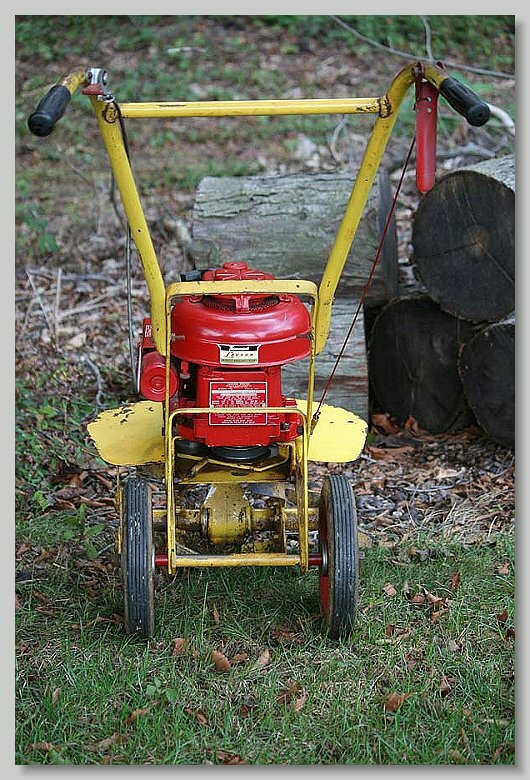 The handle with the yellow ball is connected to linkage that slides the motor to the rear to tighten the belt for mowing. The plate on the left side of the deck can be removed and a chute installed for cutting up debris in the garden. 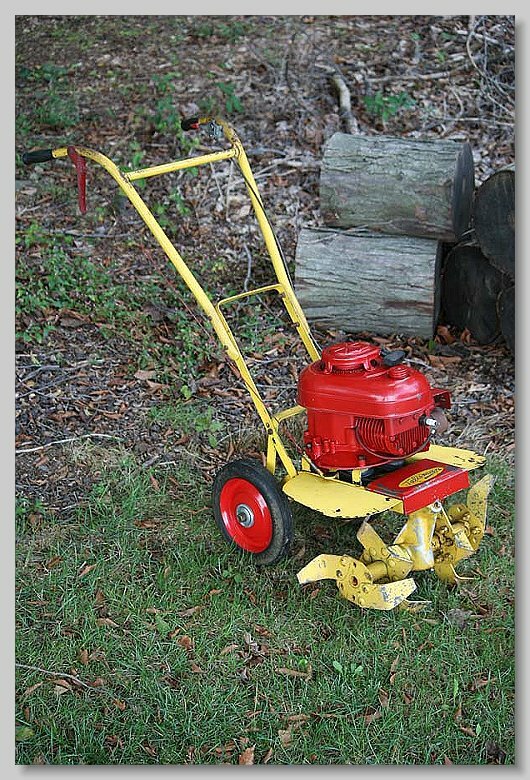 The yellow box gets bolted to the deck and the mower can serve as a grinder for garden debris. U shaped handle is the release for the loop that holds the mower deck in place. 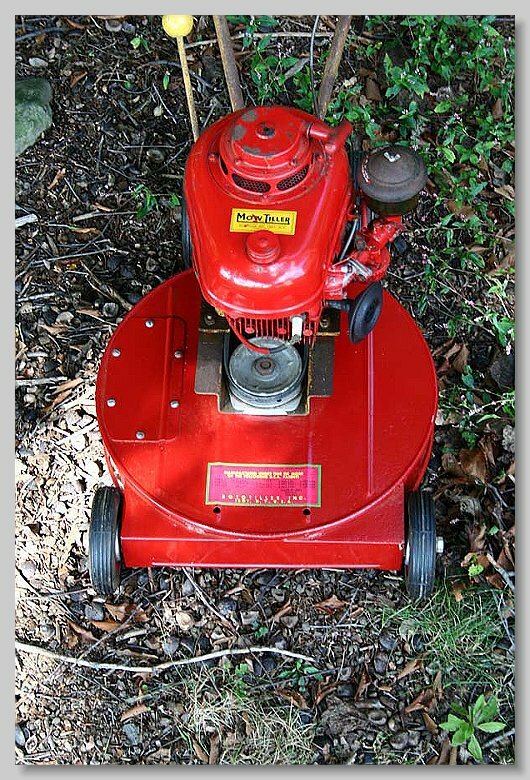 Mower deck is easily detached and tiller unit can be installed. 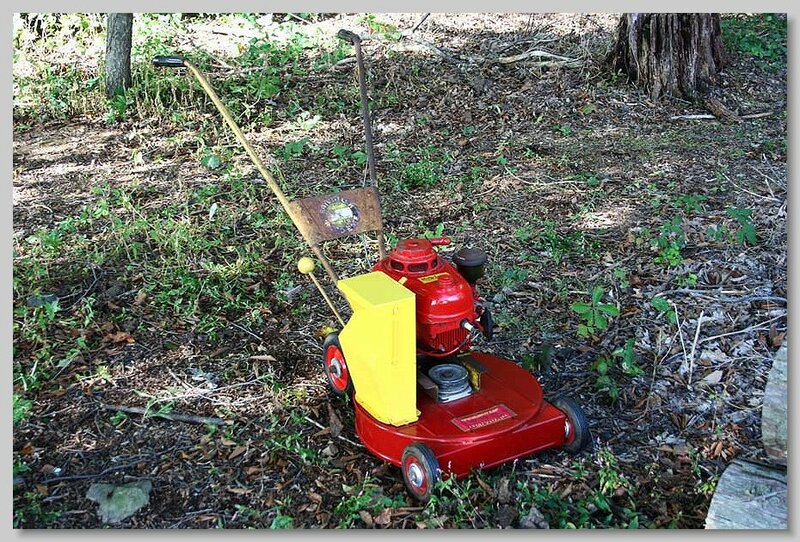 This shows the handle to release the mower deck. 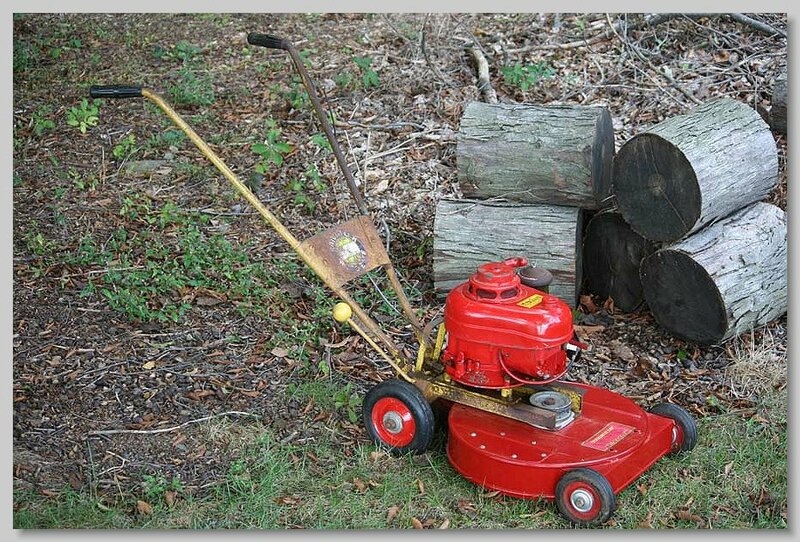 A second Mow-Tiller that I purchased from The Burden Iron Works Museum excess machines. Turns out this one may be a NOS one too. I believe it is an earler model than the first one. 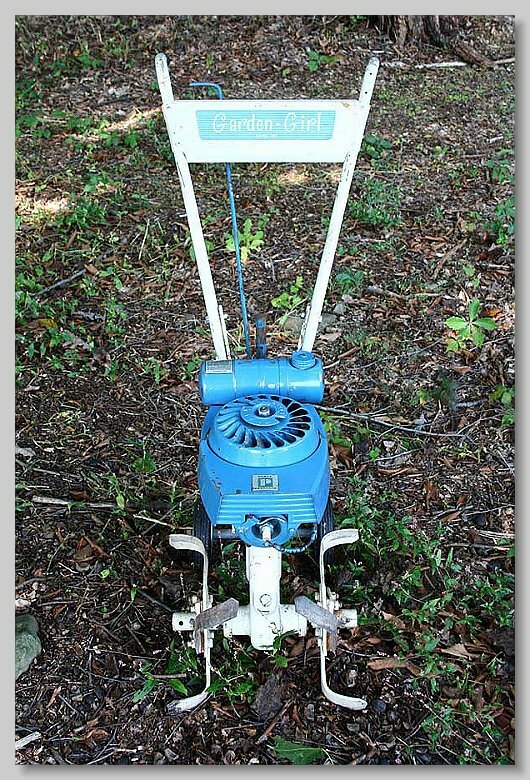 Equipped with a Clinton VS-2100 motor. 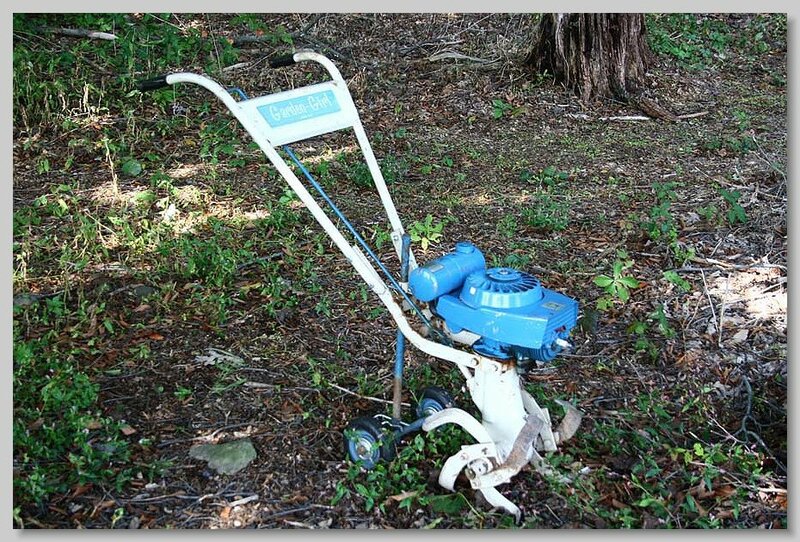 The Garden Girl tiller which also has Model 103 printed uner the name. 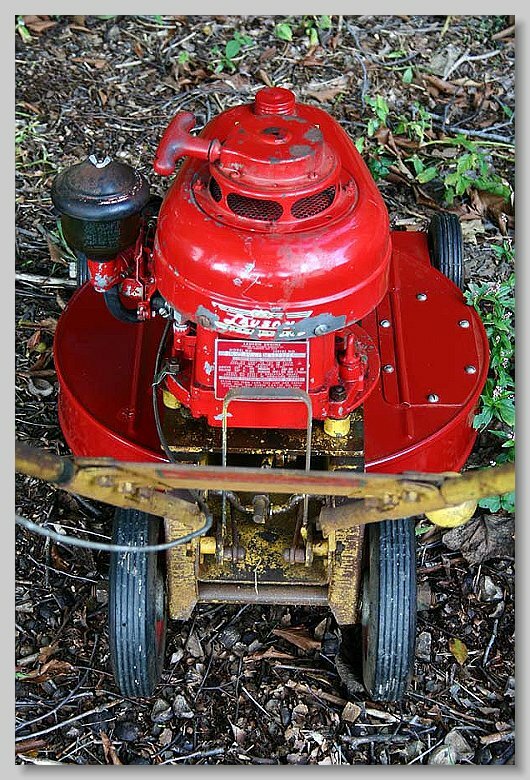 Neither Rototiller or Porter-Cable's name is anywhere on the tiller. It is howerver listed in the parts manual that covers all of the Porter-Cable models. Garden Girl tiller. Unsupported story is that it was made by Rototiller/Porter-Cable for the Spiegel Catalog company and was targeted for use by women. 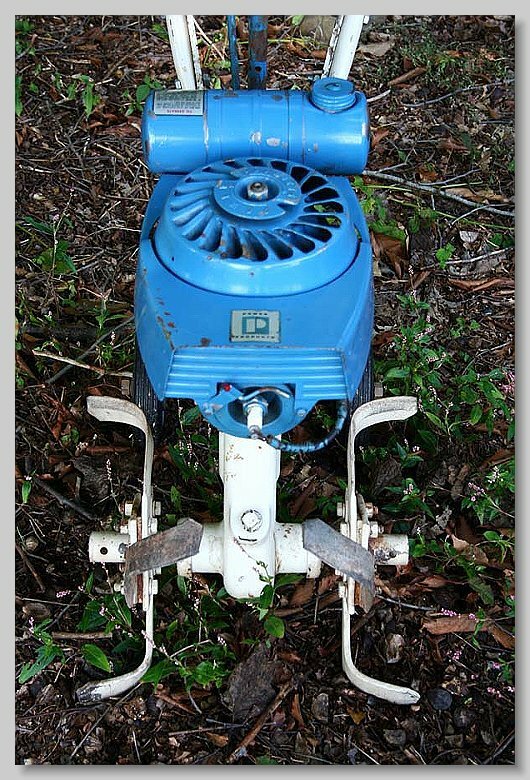 It is thought that it sold for under a $100. Close up of the Power Products engine, which was a subsidiary of Tecumseh.